Body Chalk Board is a great way to increase body awareness and sensory perception. Learning to rely on touch alone is a challenging skill and helps to focus attention and improve mindfulness. In the ‘olden days’ my sisters and I would play Body Chalk Board on long car trips. (Yes, we did have cars back then.) Today, I often use this technique when reviewing spelling words with my own children or often to simply tell them I love them with a short message written on their palm. It is always a hit when we pair up during kids yoga class and children try to spell the names of the poses on one another’s backs before practicing them. This game is also fantastic for learning cooperation and communication skills. You may even want to try it with your teens to keep them connected to their body. To encourage sensory development and awareness do the same thing using other parts of the body: stomach, soles of feet, palms of hands. 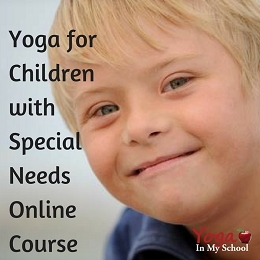 This is a wonderful game for children with sensory processing challenges (SPD, Autism, ADHD, etc). 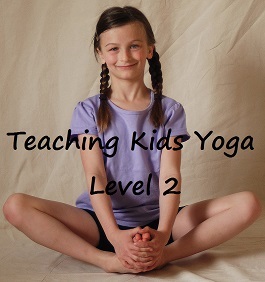 Visit our Yoga Games page for more amazing & fun yoga games to enjoy yoga with kids and teens. thanks for this idea. I’ve tried playing it were the kids draw a stick figure doing a yoga pose on the back, but they had a hard time figuring it out. 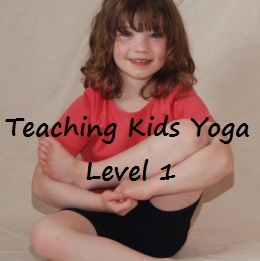 This is a much better, simpler, way and it also builds their yoga vocabulary. I’ll be trying it in my kids classes.